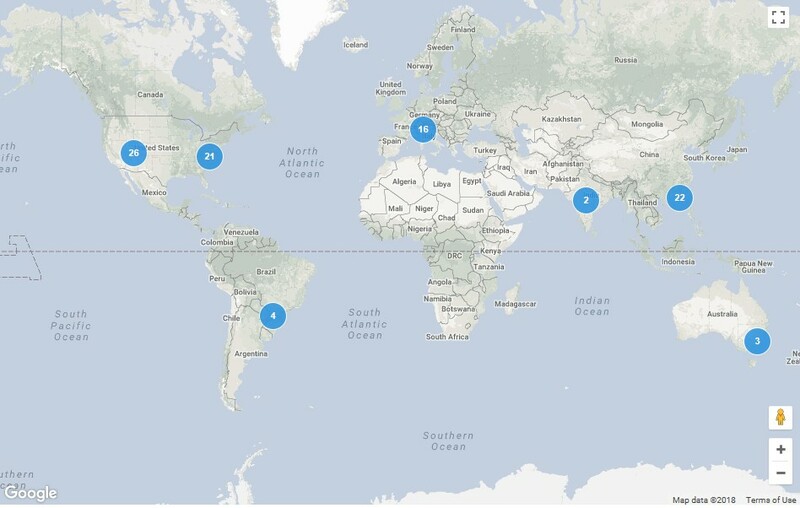 Providing crucial infrastructure for cloud services, the internet, mobile devices and electronics and social networking, the data center global market continues to grow. However, data requires huge amounts of energy to process. The typical average annual energy cost per unit area of data centers is more than 10 times that of office buildings, according to the U.S. Department of Energy. A data center can use as much energy as a small town. In 2014, according to a 2016 report from the Berkeley National Laboratory, data centers in the U.S. consumed 70 billion kWh, representing about 1.8 percent of the total electricity consumption in the U.S. In addition, data centers use a great deal of water, for power generation as well as for cooling towers. In China, data centers are expected to expand exponentially in the next five years. According to Technavio, the annual growth rate (CAGR) of China data centers was about 13 percent between 2016 and 2020. Currently, the internet data centers in the United States are more than 17 million square meters, or about 45 percent of the world's total. China's internet data centers are approximately 2 million square meters, representing only 6 percent of the world’s total. Japan's share is approximately 300 million square meters, about 8 percent. However, the number of internet users in China is three times that of the United States, and eight times that of Japan. According to the measure of data center space per user, China's internet data centers could grow to at least 22 times that of the U.S., or at least 10 times the current space of Japan. The electricity consumption of data centers in China accounts for 2 percent of the country's total electricity consumption, or 10 percent of its total building electricity consumption. The power usage effectiveness (PUE) of typical data centers in China is about 2.2 to 3.0, and the utilization rate is relatively low. There is still a gap between the average PUE (1.82) of data centers in the United States. This indicates the huge growth potential of China’s green data centers. LEED, as the world's premier green building certification program, has established a set of challenging but achievable standards. 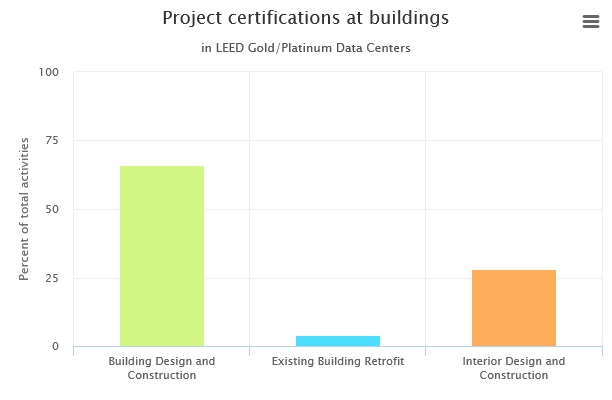 In 2012, USGBC launched certification guidance specifically for data centers: design and construction (LEED v4 Building Design and Construction: Data Centers) and existing building operation and maintenance (LEED v4 Operations and Maintenance: Data Centers). The industry responded enthusiastically. For example, Microsoft committed to working with USGBC to create a set of design and performance management standards under the LEED v4 BD+C: Data Centers rating system, and to require that its new data centers comply with this standard and achieve Gold certification through LEED volume certification. Other major companies such as Apple, Facebook, Digital Realty Trust, Google and Equinix also use LEED for their data centers. The number continues to grow worldwide, and data centers are becoming more energy-efficient. The Berkeley report showed that U.S. data center electricity consumption only increased by about 4 percent from 2010 to 2014, a large reduction from the 24 percent increase from 2005 to 2010—despite a simultaneous construction boom. Data centers can now more easily evaluate their energy models and estimate equipment energy savings. Taking into account PUE allows owners, developers, contractors and LEED reviewers to readily observe energy and cost savings. The commissioning credits require a commissioning agent with experience in overseeing data center design and construction. This ensures a fair commissioning process suited to the unique design elements of data centers. Indoor Environmental Quality (EQ) credits address data centers’ low occupancy rates. The new Cooling Tower Water Use Reduction credit and the Whole Project Water Use Reduction pilot credit address process water use and savings in data centers. USGBC is committed to actively promoting data center certification services. The number of LEED Gold and LEED Platinum data centers in the greater China region is second only to North America. Foxconn Guiyang Data Center has earned Platinum certification under LEED 2009. Additionally, two projects in China have achieved LEED v4 BD+C: Data Centers certification. In October 2017, USGBC signed a strategic agreement with the China Software Testing Center to promote the sustainable development of China's data centers and organized the LEED DC Working Group. In 2018, Delta Wujiang Data Center has become the world’s first data center to certify using LEED v4 ID+C: Commercial Interiors.